As I mentioned yesterday, I am not understanding this fall purge people are doing, but I am taking advantage of the stuff we are getting. I also mentioned that my parents are re-doing their kitchen which is resulting in a number of hand-me-downs for us. 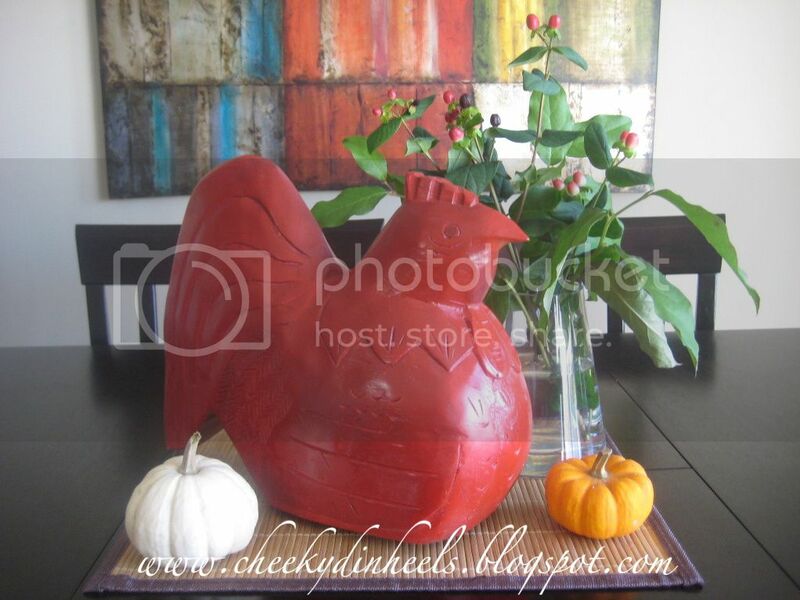 One item I scooped was this rooster. 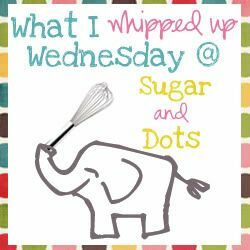 Yes, my Mom did have this in our kitchen...her teal and purple kitchen I might add. Don't worry that was like three kitchens and at least 15 years ago. And, as she always reminds me, if your in-style then you will look back on your designs and die laughing at some of your previous choices. What was in at one time, is definitely out a few years later. Don't worry, my Mom is super in-style and her new kitchen will be GORGEOUS. I'll post those when they are done. Back to my Rooster. I loved the shape of it. I think it's so neat and I do tend to be attracted to solid coloured animals (do you call them statues, pieces?) in stores like West Elm and Pottery Barn. 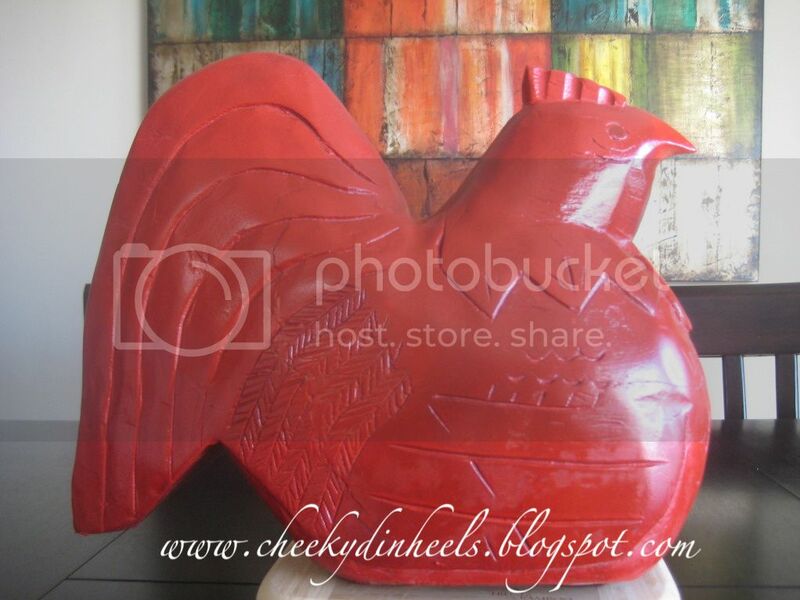 I decided I would spray the rooster solid red and place him in our dinning room living room. I Grabbed a can of Krylon in Banner Red and went to town. 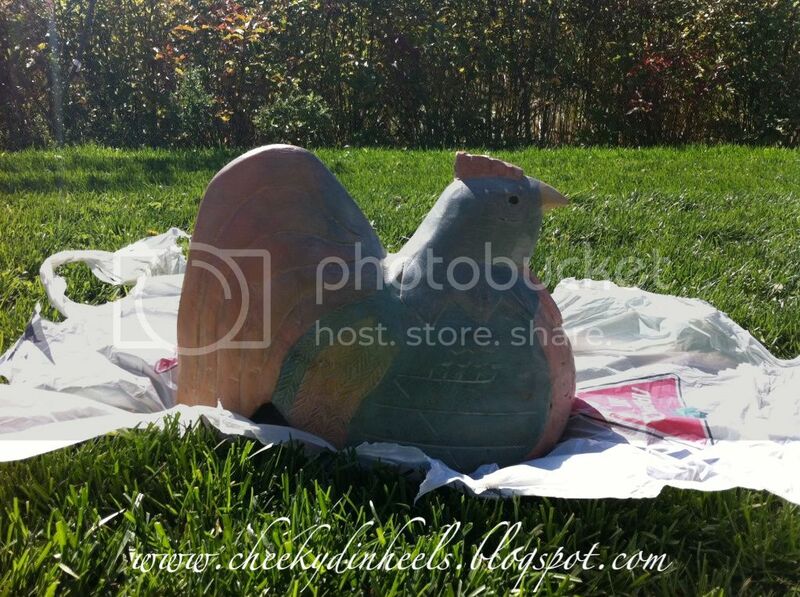 Like I said before, the weather was gorgeous so I set up all my different projects and sprayed away. 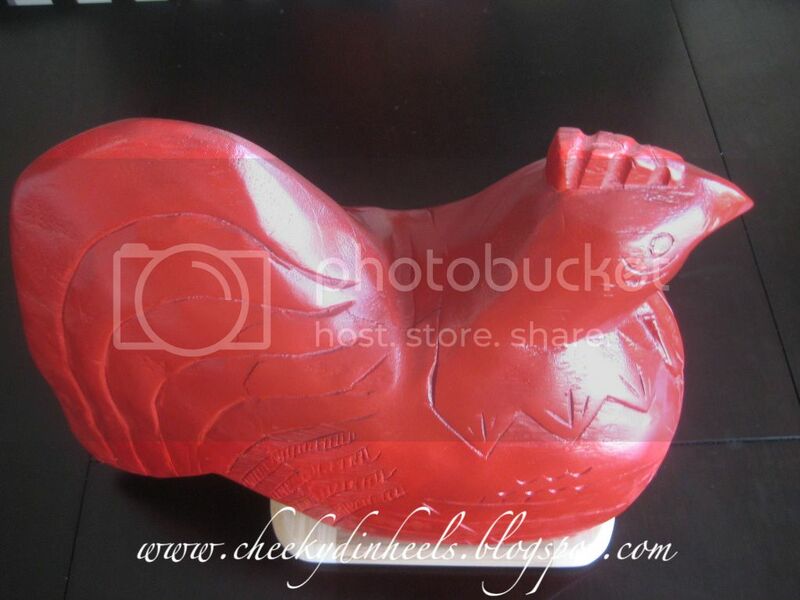 Even though my colour choice for the toy chest was a total fail; the Rooster, in my opinion, was a total hit. What do you think?